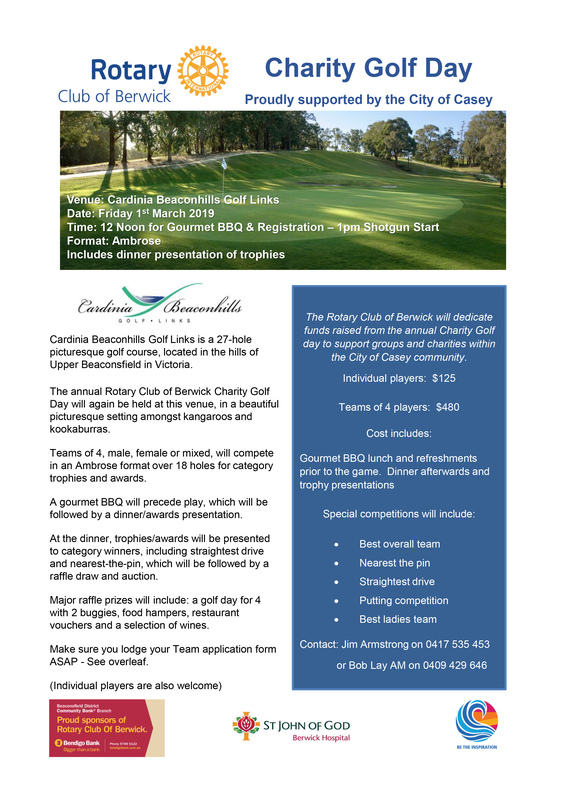 The Rotary Club of Berwick are hosting a Charity Golf Day at our beautiful course on Friday march 1st. 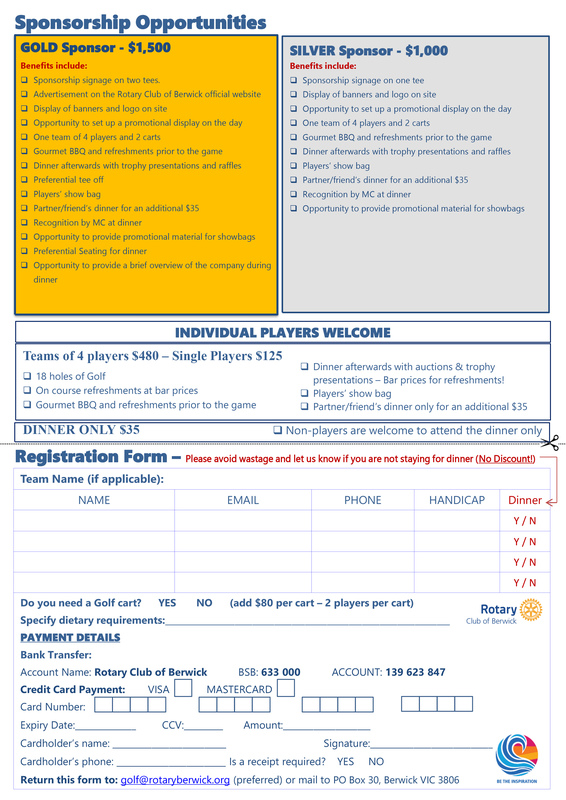 Ambrose event with individual $125 and teams of 4 players $480. This includes BBQ lunch, refreshments prior to the game and dinner following the game with trophy presentations. If you would like to be involved in the event, please follow the attached link and send your team application to the Rotary Club.